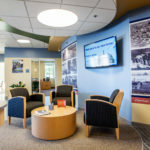 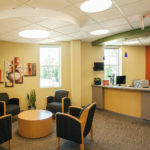 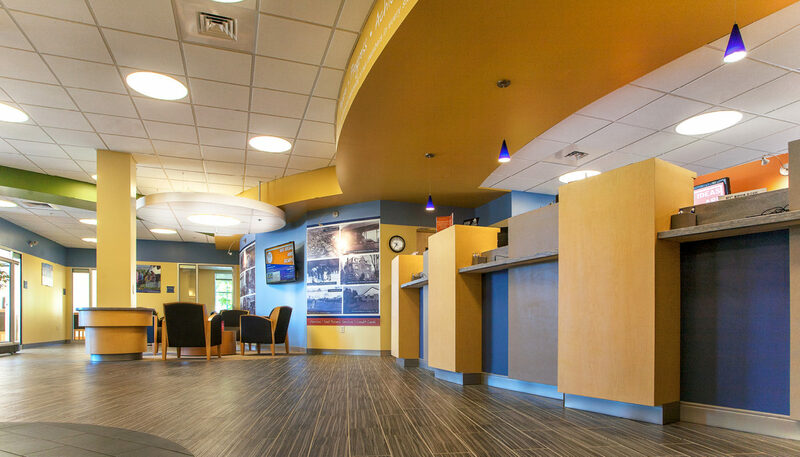 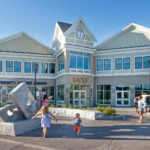 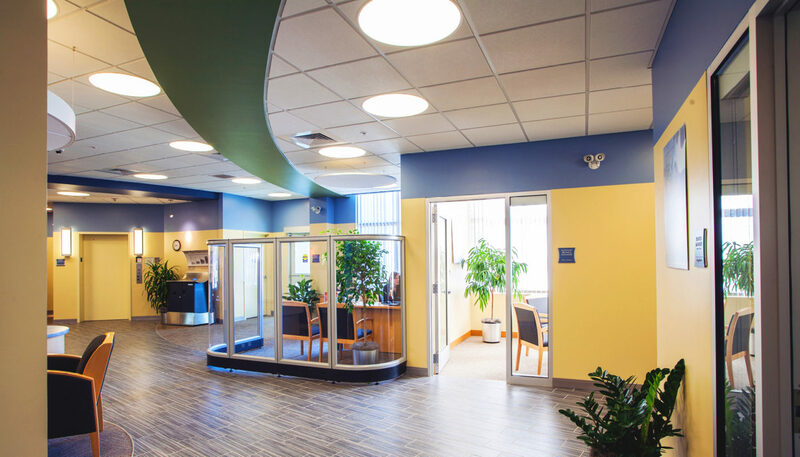 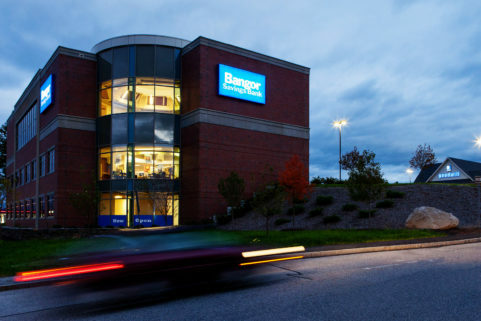 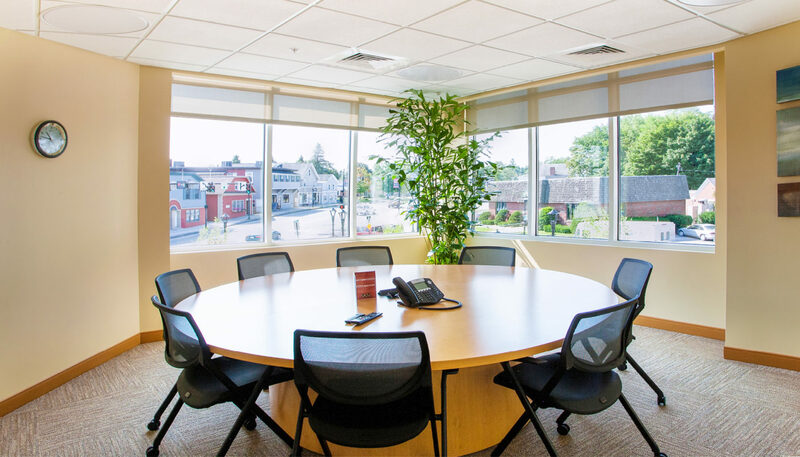 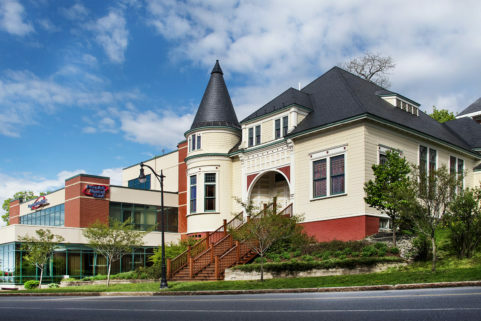 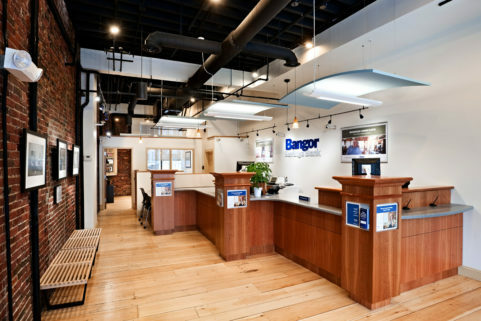 University Credit Union (UCU) chose Orono’s historic Katahdin Block as the location of its corporate and operations headquarters, as well as its newest branch location. 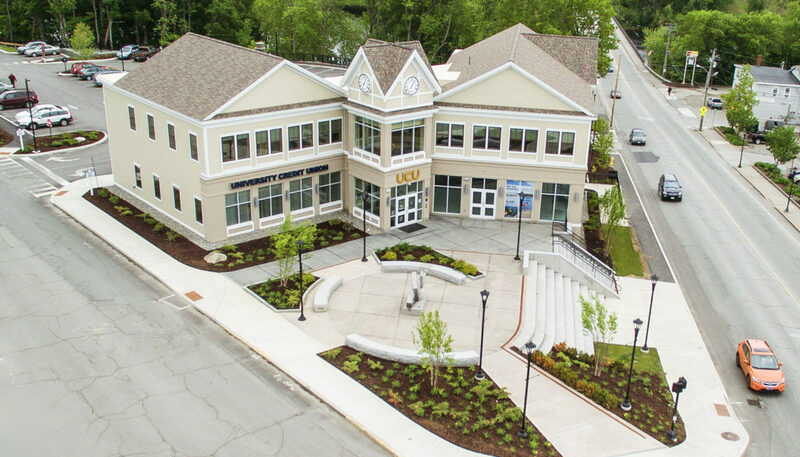 The secure 18,000 SF building, which includes a large tenant space, now serves as the anchor property for downtown Orono, and includes a plaza with granite benches, gardens, and Schoodic Symposium sculpture by Teng Shan-Chi. 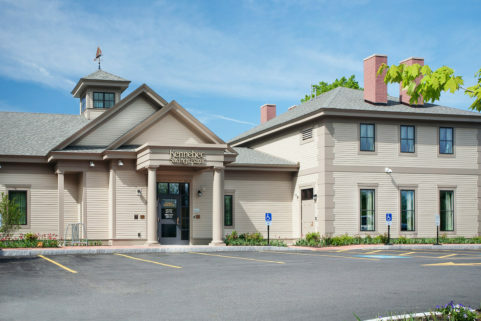 Orono’s newest community landmark, located on the corner of Main Street and Bennoch Road, was built on the footprint of a burned-down apartment building, necessitating the removal of truckloads of contaminated soil. 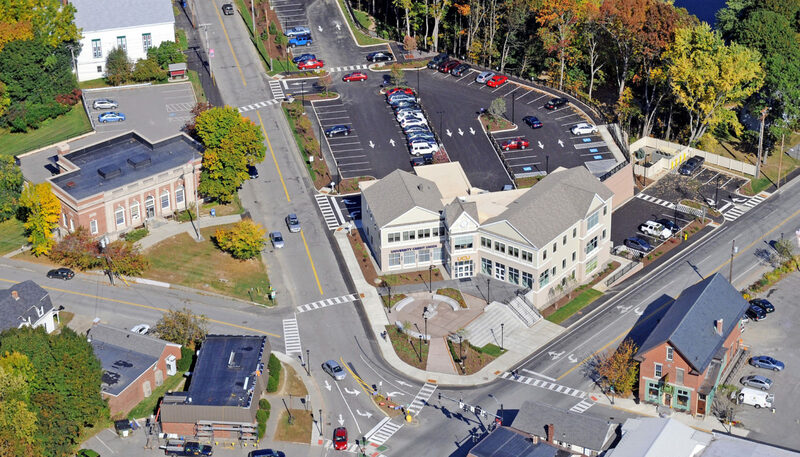 The site also sloped steeply toward the Penobscot River, and is adjacent to a public walking trail. 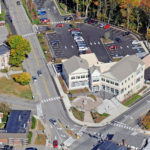 To provide the nearly 80 spaces the town was looking for, the parking lot had to be excavated and filled with engineered aggregate, held in place by a 474-foot by 30-foot retaining wall, buried 10 feet. 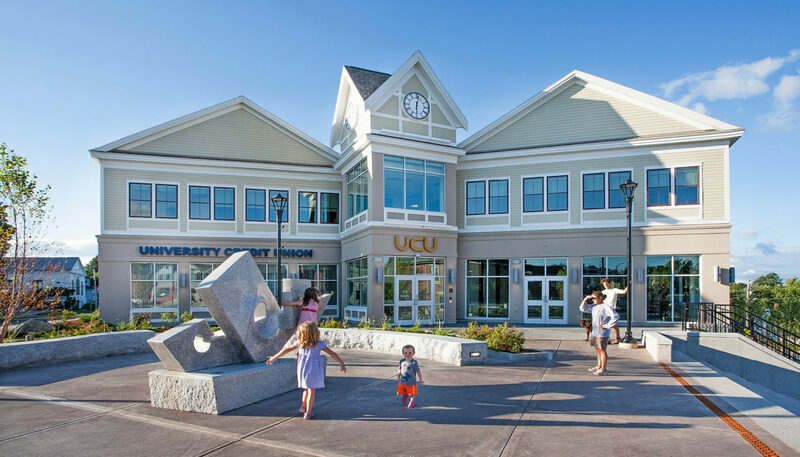 The 18,212 SF building serves as UCU’s corporate headquarters including administrative offices, business account services, and eBranch. 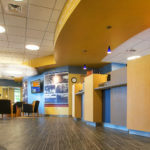 It also includes a 3,500 SF branch with drive-through and 24/7 ATM service, with space available for additional tenant use. 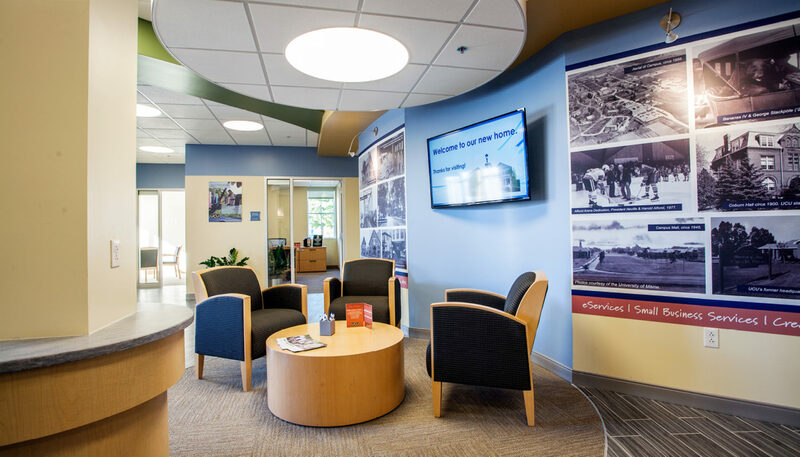 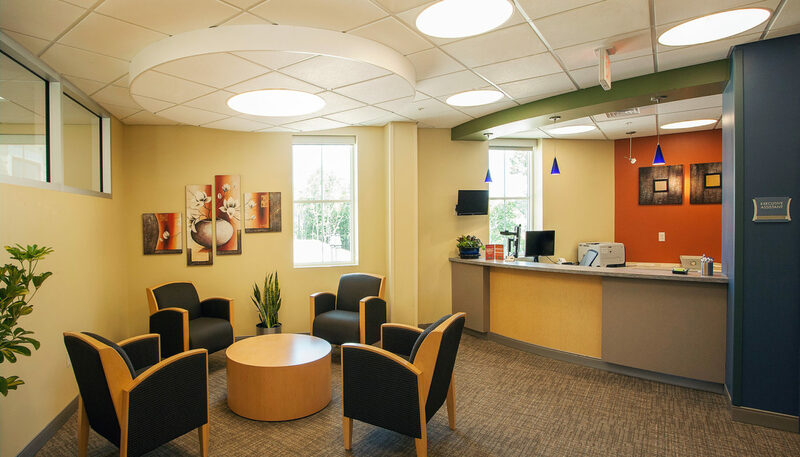 The interior design includes a variety of options for customer consultations and transactions, from stand up kiosks, to seated consultation spaces, to private offices. 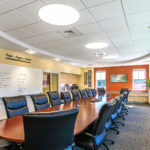 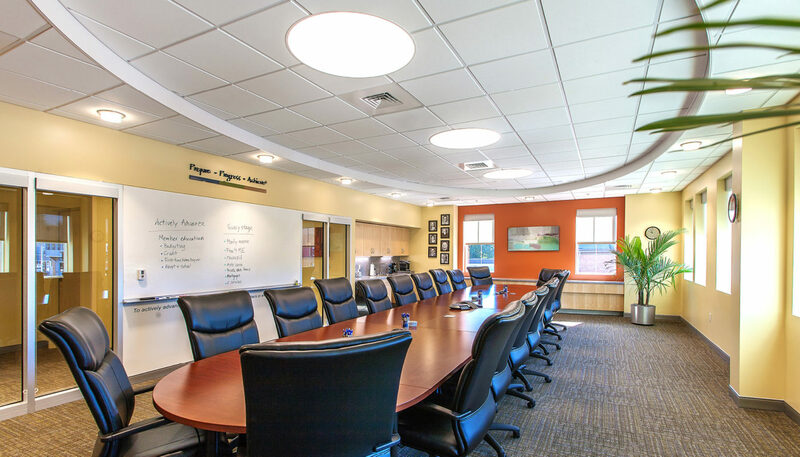 The second floor of the building includes a light-filled board room. 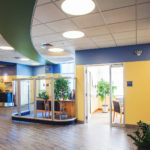 Outside, every site design decision was made with the community in mind, from the color of the retaining wall to the outdoor LED lighting, which needed right intensity and uniformity of light for security while also being careful about light trespass, since the site is near a residential area. 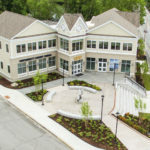 The plaza and stairs are designed with radiant heat tubing to promote winter snow melt.